The topic of “What blocks progress?” drew the most votes at our Diversity Dialogue on 4 August 2018 – “We have such potential as a country. Why are we stuck?” A long list of reasons was identified: Inequality & poverty, Labelling & discrimination, Poor leadership with no integrity, Broken people, families & communities, Fear, A culture of destruction & rage, Greed, Denialism, Right wingers, White supremacy, Patriarchy, Despondent & desperate youth … it seemed overwhelming – there was a general feeling of paralysis and fear in the room. “Dreams for this included: Empowerment, safety, being heard, respected, acknowledged, cared for valued, ability to overcome regrets, disappointments/past, children are educated understand what it is to be human beings, spark for connection is present, connecting with out human essence, freedom of choice to be the best you can be and want to be. The initial voices were danger, ‘oversimplified boxes’, blame, fear, ‘guises and lies we tell ourselves’, stereotyping and shutdown. We then entered a deeper place of ‘helplessness’ and pride as barriers to such a desired place. Then there emerged the voice of “judgement dropped’, and empathy and choice. Each person provided personal actions and accountabilities to take forward. “On a hot summer weekend day, 8 brave people chose to stay for 5 hours in Dialogue. The topic chosen was CONFLICT/FIGHT. What a courageous decision! It sounded like an important topic on many levels, both in personal relationships and also in the global theme of a politically divided society. The dream looked alive and energetic, far from peaceful harmony. It was clear that once today’s conflict issues are resolved, we’ll actually be able to speak and disagree more openly, honestly and confidently. Clearly, our capacity to be with diversity would have grown enourmously. What surfaced during the Dialogue were all the many ways how facing conflict is being avoided, and also the frustration and anger that comes with that. It was only when anger and well-educated were facing each other, and anger still wasn’t able to express and be heard, that all the pain that lives in well-educated became visible. Finally, a good amount of pain had a chance to be expressed and heard. We left the Dialogue with a sense of relief, love, connection, excitement, but also discomfort and more pain. One of the golden learnings we heard is: When we allow anger to be expressed without being directed at someone, we do not know what will come out. Maybe pain. In general, most of the learnings were about our ability/inability to express emotions and the cost of that. Also inquiries around: Are women more easily ready to express pain, while men are more easily able to express anger? What is our relationship with anger? On the 12th of June we held our fortnightly CWD NNI dialogue with the community of Tafelsig. The topic was unemployment, something that affects the entire community. ” What I am hearing about SA: Poverty. An education that does not prepare young people. Complete loss of power when formal employment is not forthcoming. What I saw at the end of the dialogue: 3 ladies energised the meeting like if the room was full. They were unstoppable. 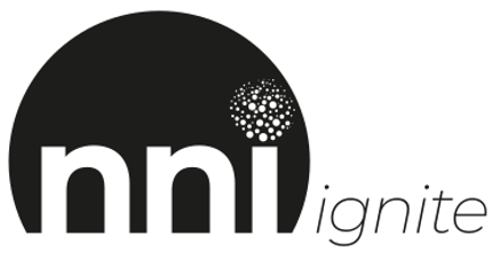 Diversity Dialogue is a team of brave and passionate NNI facilitators, taking NNI dialogue to their communities. This was a private Diversity Dialogue at Arcadia Christian Church with more than 25 people. The topic “The Struggle with Identity because of the Past” was chosen. As each voice made an opening statement it was evident that many voices expressed fear underlying their main points of view. 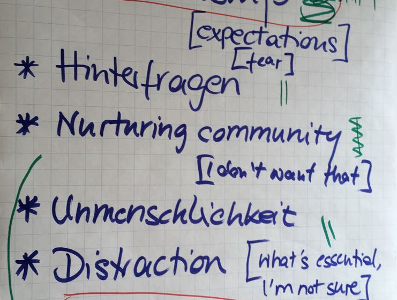 “Shame”, “Fear”, “Stereotypes” and “Anger” were the main contributors to the conversation. Out of the voice of “History not dealt with”, a “Longing for accountability for the past” from all sides, “Disillusionment with reconciliation”, but also a strong “Hope in a new identity in Christ” emerged. “Being judged”, “Inner Brokenness”, and “Distrust” tended to observe rather than participate in the conversation. 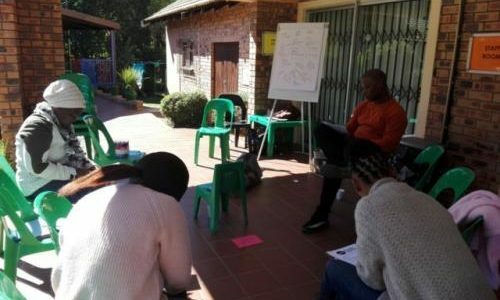 Our diversity dialogue on 2 June at Nokuphila was a small group but this lent itself to a more intimate conversation – the participants chose to dialogue about the challenge of family relationships. In a small group the question I sometimes ask myself as a facilitator is “Where is the diversity?” but we had exactly the diversity needed for the topic. So many valuable insights were expressed … Keeping secrets from each other eats away at the individual secret-keeper as well as the relationship. Then it spills over into other relationships too. Secrecy spreads. A lack of trust and fear of rejection result in the wearing of masks even in close relationships. It is so easy to get into a rut of poor communication and takes a lot of personal work to change. The importance of good communication was emphasized throughout the dialogue. A key to this was seen as the idea that “the problem” can be seen as separate from the individuals in the relationship. Instead of pointing fingers at each other in blame, they can together face the problem and make progress. Consciousness Cafe are NNI facilitators who host amazing NNI dialogues around the country. On important days they have essential dialogues: 16th of June was no exception. 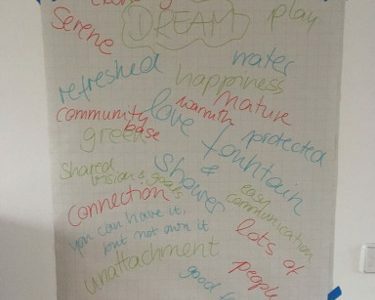 Consciousness Cafe’s June 16 2018 Dialogue was a dynamic one. 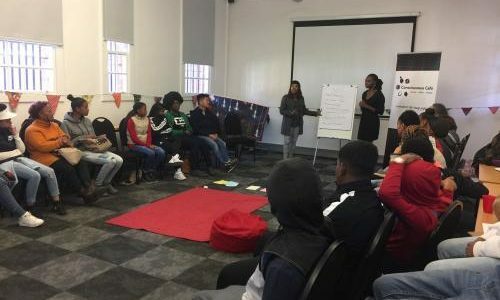 Facilitators Keke Shabangu and Lungi Sokhulu were overwhelmed and inspired when over 60 students from Westbury High schools joined the youth dialogue at Constitution hill at 12 pm. The topics that came up already showed us the kind of world we are living in, where teenagers in high school are affected by and want to speak about abuse, drugs in prisons, human trafficking, bullying, gangsterism and drug and alcohol abuse – among others. Drug and alcohol abuse among our teenagers was the topic chosen for discussion, and the group was taken to a deep reflection about why this is a problem. Poverty, broken families, peer pressure, I don’t know any better, were some of the issues put forward as to why our teenagers suffer form drug and alcohol abuse. The group had to leave suddenly and the adults who were left over were left with an overwhelming heaviness and hopelessness. Being faced with the real issues that our youth are dealing with left us with a disparaging sense of powerlessness and despair. The dialogue evolved further, with parents and teachers stepping in to share their challenges and frustrations, leading to ideas and solutions and an overwhelming desire to hold hands and offer assistance where we can. 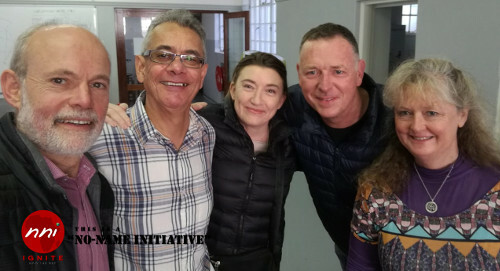 Adults in the room offered mentorship to the learners, computer training, skills development as well as further Consciousness Café dialogues to be carried out in the community. Many members of the group expressed interest in the upcoming NNI training in order to somehow offer the support needed in too many of our communities. This youth day brought us to the centre of what the youth is living, we were forced to look into it and see where we can fit in to be part of the solution. We are motivated and apprehensive but very aware of what our joint responsibilities are to move forward.